An unusual gift for budding pirates. 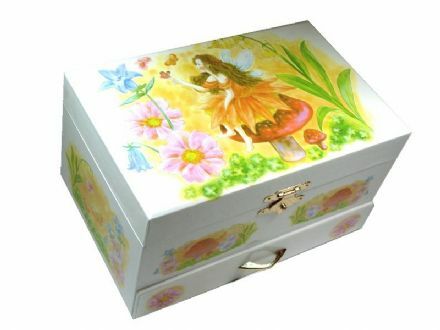 This very unusual musical box is an ideal present for youngsters. Designed and decorated as a pirate chest, with a plastic coin inside that pops up and revolves to the music when the lid of the music box is lifted. 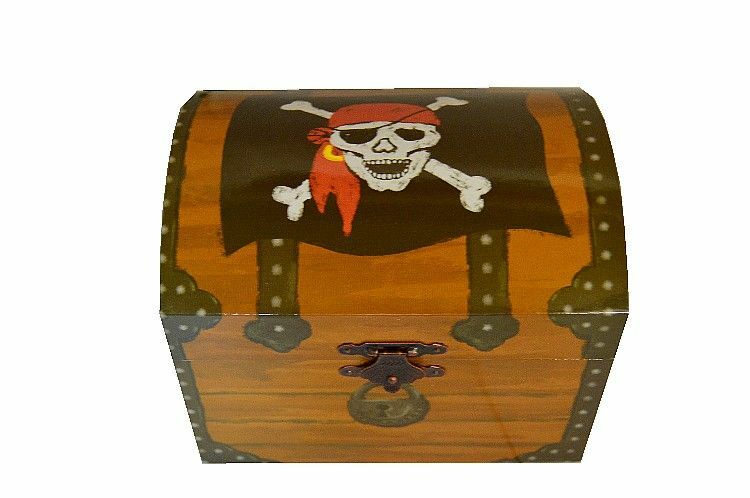 The music box is made from a wood board covered in printed paper in the design of a pirate chest with the picture of a skull and cross bones flag on the top. Inside the musical jewellery box there is space for small pieces of jewellery, trinkets and 'booty' . 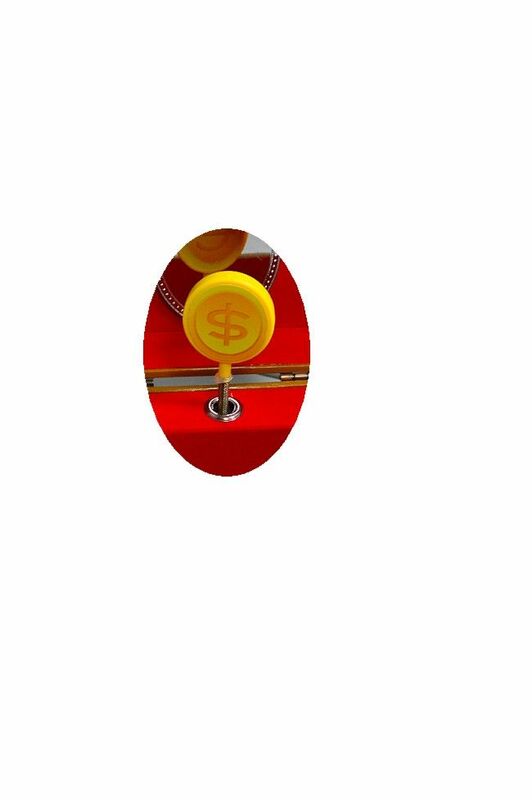 Behind the rotating coin there is an oval shaped mirror. The box is lined in a red baize material. It is fitted with a clockwork musical movement wound by a key at the back of the box. 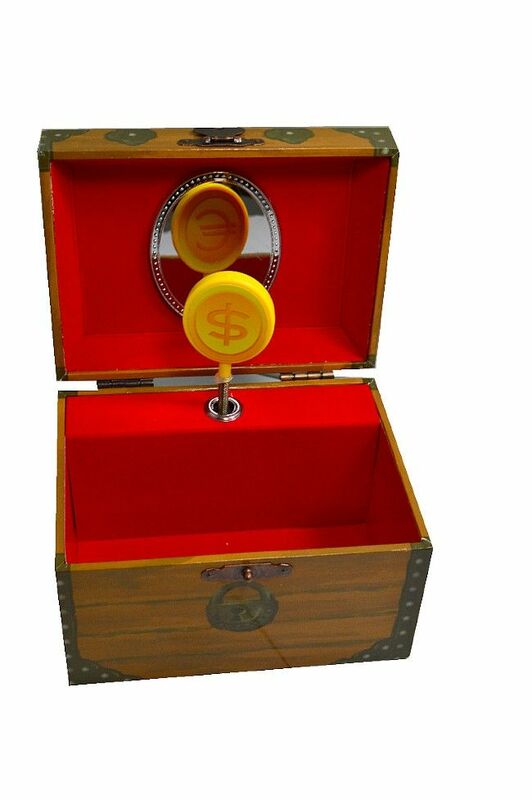 IMPORTANT NOTICE - Please be aware that these music boxes do contain small parts and a removable metal key. If you are unsure about suitability, please telephone and ask one of our staff for guidance.